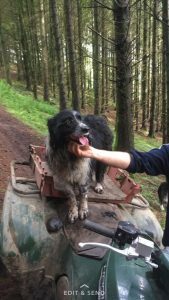 Alfie the sheepdog went missing over the weekend of 19 and 20 August in a heavily wooded and craggy area near Tynron in Dumfries and Galloway. Despite numerous searches by Alfies owners their was no sign of him. Overnight on 22 August 2017, the Tynron area was enveloped in a big rain and thunderstorm. Alfie being scared of thunder started barking in the middle of the night. Alfie’s owners heard the barking and knew that Alfie was still alive and needed to be found. 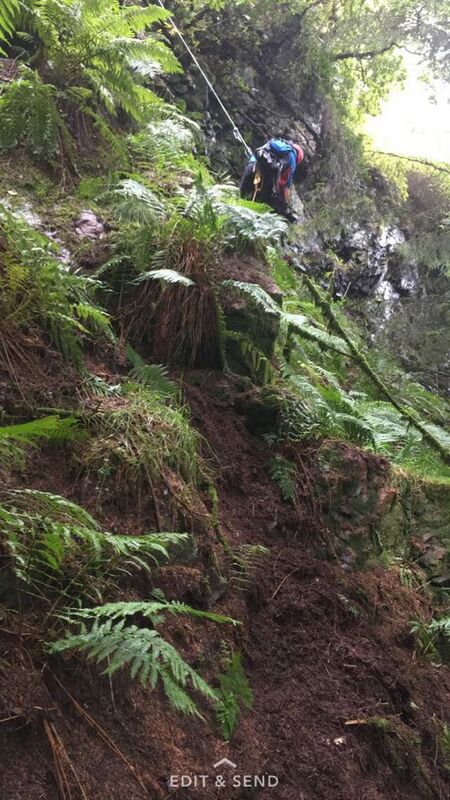 The owners contacted Moffat Mountain Rescue Team and Police Scotland to ask for help. The mountain rescue team responded to the area and started a search. One of Alfie’s sheepdog friends showed interest at the top of a very steep wooded crag and Alfie was found stuck on a ledge 50 feet up. The mountain rescue team lowered a team member to the location and collected a grateful Alfie and lowered him to the ground to be reunited with his owners. Shaun Duignan, team leader of Moffat Mountain Rescue Team said “although this was an unusual callout to rescue a dog the team were delighted to find Alfie none the worse for his ordeal and reunited with his owners. This callout comes hot on the heals of a callout on Arthurs Seat, Hart Fell near Moffat, where the team and the Coastguard Helicopter Rescue 199 rescued a woman with a broken leg.